Abby Martin is a journalist and host of the “The Empire Files”. The Great Return protests in Gaza will culminate on Nakba, May 14th. This is also the day that Israel will celebrate the 70th anniversary of the State of Israel. Historian Ilan Pappe says we need international pressure brought upon the State of Israel on this occasion and we need to disengage the US as mediator. 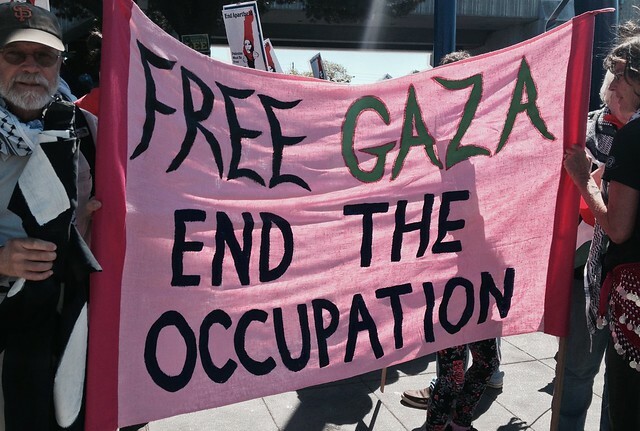 This entry was posted in All Posts News Politics and-or Videos, Dandelion Salad Videos, Empire, Gaza, Human Rights, Imperialism, Israel, Israel-Palestine-Gaza-Occupation, Palestine, Socialism, Venezuela and tagged Abby Martin, BDS, Great March of Return, Ilan Pappe. Bookmark the permalink.